Fort Magistrate Lanka Jayarathne yesterday issued an order for the arrest of Ven. Bengamuwe Nalaka Thera, Ven. Magalkande Saddhatissa and two other monks for allegedly damaging public property during a protest campaign held in 2016. Filing a B-report, Fort Police officials informed the Magistrate that the suspects were identified as Ven. Magalkande Sudatta Thera, Ven. Madille Pannaloka Thera, Ven. Ittakande Saddhatissa Thera, Ven. Bengamuwe Nalaka Thera and Udunuwara Kanakanamlage Sriyani. Fort Police officials further stated that they have caused damage to public property during a protest by disabled war veterans in 2016. 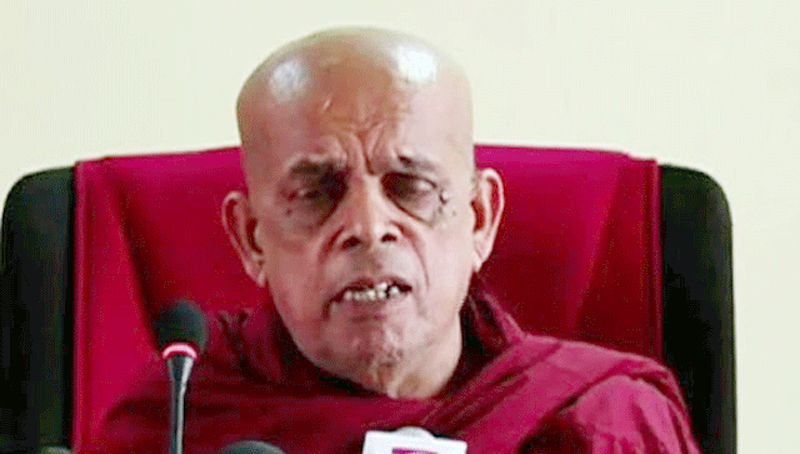 Meanwhile, the Fort Magistrate also ordered to recall the warrant issued on Ven.Athulugalle Siri Jinananda Thera who failed to appear in court during the previous occasion (June 02). Ven. Athulugalle Siri Jinananda Thera yesterday appeared before court.